Leawood, Kansas (March 14, 2019) – AMC Theatres, the largest theatrical exhibitor in the United States and the world, today announced its intentions to greatly expand guests’ ability to skip the line at the concessions counter by ordering ahead online and through the AMC Theatres mobile app. 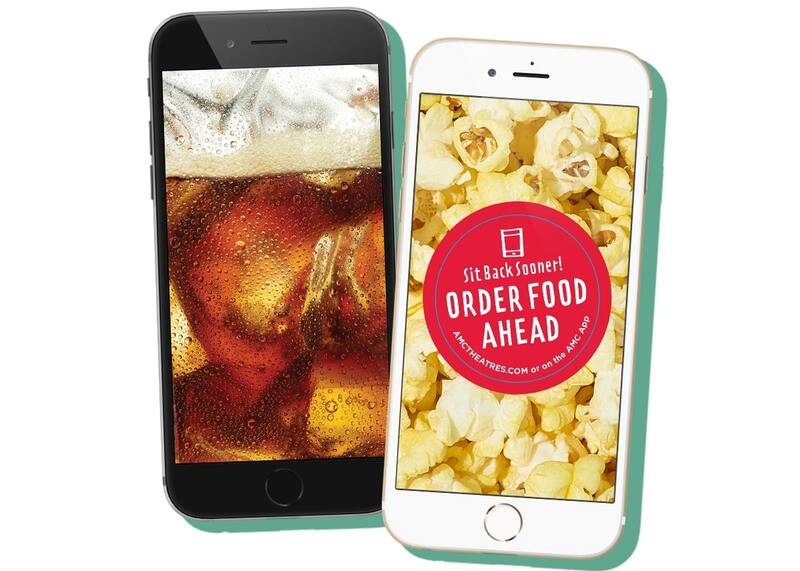 Food & beverage mobile ordering is now available at all AMC locations in Boston, Denver and Houston, with more markets expected to be added throughout 2019. AMC’s mobile order option is a perfect complement to the scores of moviegoers who are buying their tickets online and on their AMC mobile app. With just a few extra clicks, guests can add popcorn, drinks and their favorite AMC snacks to their ticket purchase. The food is prepared fresh and is ready at a designated time, allowing guests to get to the theatre and pick up their snacks at the Express Pick-Up kiosk located near concessions or, in select locations, have the food delivered right to their seat, skipping the concession line entirely. AMC is the largest movie exhibition company in the U.S., in Europe and throughout the world with more than 1,000 theatres and nearly 11,100 screens across the globe. AMC has propelled innovation in the exhibition industry by: deploying its Signature power-recliner seats; delivering enhanced food and beverage choices; generating greater guest engagement through its loyalty program, web site and mobile apps; offering premium large format experiences and playing a wide variety of content including the latest Hollywood releases and independent programming. AMC operates among the most productive theatres in the United States’ top markets, having the #1 or #2 market share positions in 21 of the 25 largest metropolitan areas of the United States, 14 countries in Europe and the Middle East and is the #1 theatre chain in Estonia, Finland, Italy, Latvia, Lithuania, Norway, Spain, Sweden and UK & Ireland. For more information, visit www.amctheatres.com.